The protests by Zambians and concerned South Africans against the arrest of HH in Durban during Edgar Lungu’ visit there has hurt PF deeply. 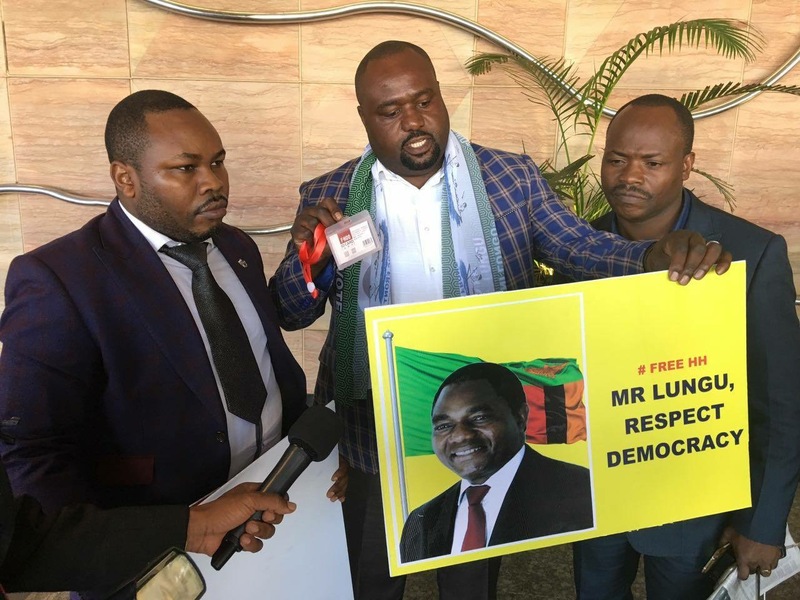 The PF branch in South Africa which is supervised and funded by Emmanuel Mwamba has now resorted to lying that they have arrested foreigners who were disguised as UPND cadres. To start with PF cadres in South Africa have no powers to arrest any one. Secondly, most PF cases in South Africa are illegal immigrants and would dare not show up at any police station. Thirdly, one does not need to be a Zambian to protest dictatorship in Zambia. Fourth: the people who were protesting were not UPND supporters but Zambian based in Durban and concerned South Africans. It looks like the PF didn’t know what was coming and are now being put under pressure. PATRIOTIC Front South Africa this morning surrendered three foreign national who had forged accreditation identities purporting to be Zambian journalists. The three were carrying posters and masquerading as UPND protestors. PF South Africa Chairperson Sydney Njamba narrated that a tip was given to them that a white man who was paying students to carry posters against Zambia. The three foreign Protestors said a Mr. Walter had paid and hired them and didn’t even know about Zambia. And the Durban International Convention Centre and the World Economic Forum authorities disowned the forged accreditation and surrendered them to the Police for investigations. And Emmanuel Nkhoma, a Durban based Zambian said none of the people with posters were known in Kwazulu Natal. Well, all protests are actually planned and staged. Now if foreigners are staging protests against Zambia, then we are in trouble.